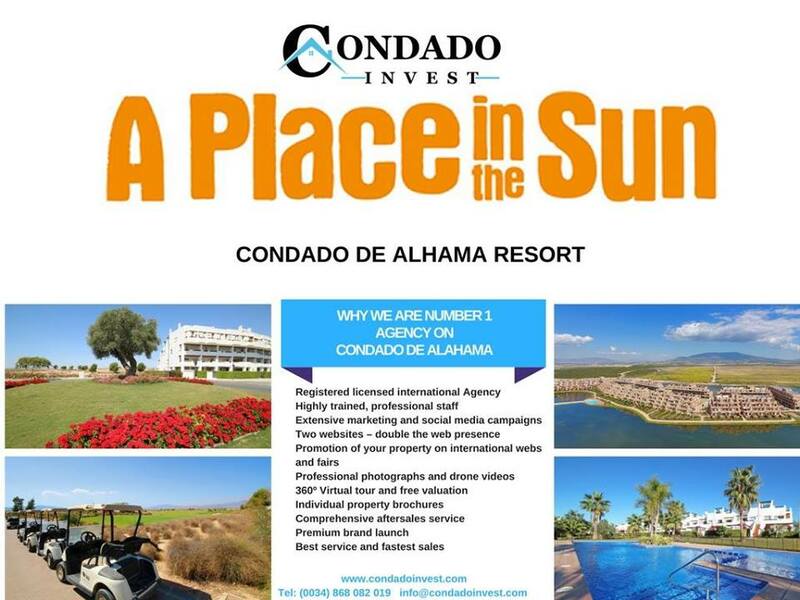 Earlier this year Condado Invest were selected by Channel 4 property show A Place in the Sun to showcase not one but two properties on Condado de Alhama. It’s unusual for the show to bring their property hunters to the same development more than once but their requirements fitted Condado properties quite well and so they were shown a two bedroom and three bedroom apartment on the main resort. Most of us have waited patiently for the show to air and finally on Friday 16th November the show featuring the couple, called Lynn and Mike from Southampton, was aired in the UK on Channel 4. Everyone at Condado Invest are naturally quite proud of bringing the show to Condado de Alhama and their Facebook profile has been buzzing with posts about the show being aired. 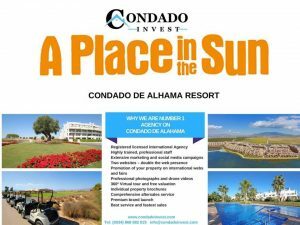 Having A Place in the Sun film at the resort was a massive opportunity to show case Condado de Alhama and bring it to the attention of Spanish property hunters. Having watched the show our overall conclusion is that a good job was done by the team at Condado Invest and the properties presented to the couple were well priced and almost delivered on their wish list. In the end they did not make an offer on any of the properties they were shown. Some commentators have remarked that the couple were ‘too fussy’ and ‘being unreasonable’ for what they wanted for their £60.000 budget, but A Place in the Sun is well known for finding properties for their clients at often very low budgets so unfortunately it seems Condado de Alhama just wasn’t right for these particular property hunters. Even so, well done to Condado Invest for bringing the show to the resort and getting it showcased. It’s a great achievement guys! For those who missed the show you can find it on catch up until the 16th December 2018.